It has been accepted for inclusion in SSWA Faculty Publications by an authorized administrator of DigitalCommons@USU. For more information, please contact dylan.burns@usu.edu. Recommended Citation. 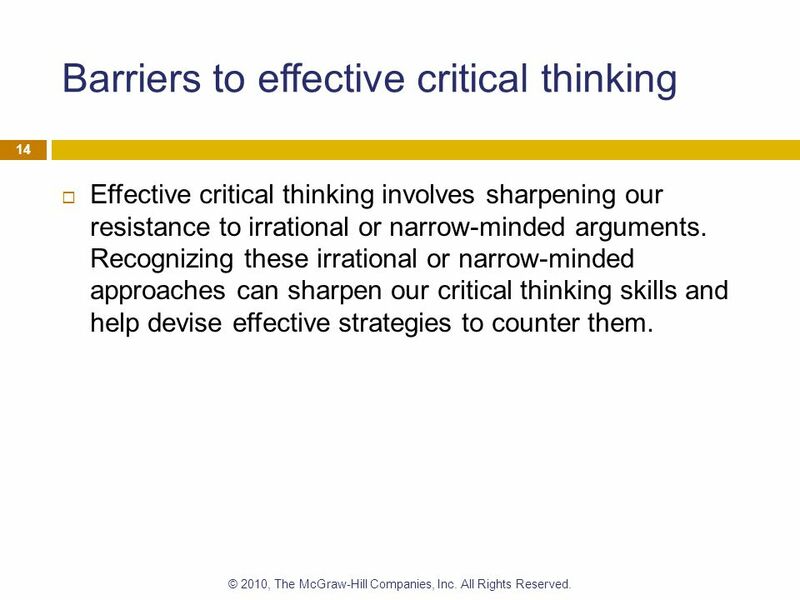 Geertsen, Reed, "Barriers to Critical Thinking Across Domains" (2013). SSWA Faculty Publications. Paper 445.
fit-within.org/ 5 Barriers To Critical Thinking -uploaded in HD at www.TunesToTube.com.